Alice followed the White Rabbit with a pocket watch down the Rabbit Hole into the psychedelic Wonderland. 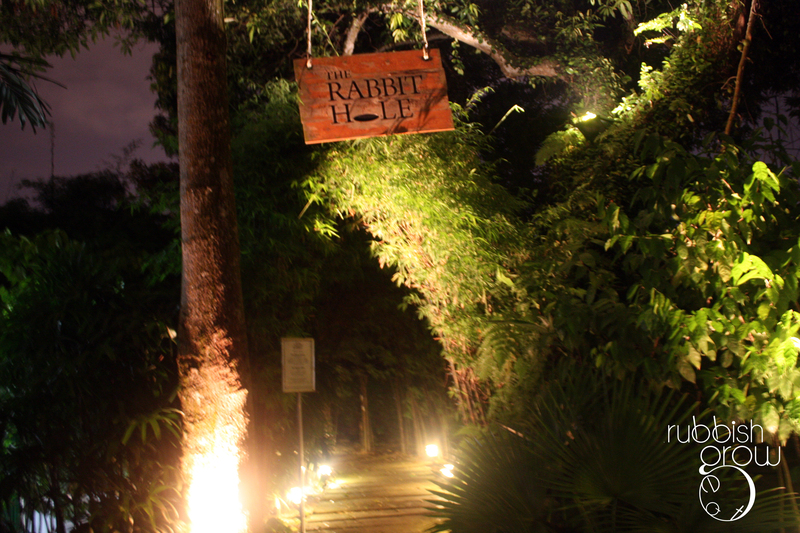 Here in Singapore, at Dempsey, there are two ways to enter Wonderland to, not through, The Rabbit Hole: You can walk through the main entrance at White Rabbit restaurant or go by the garden path (as shown above). By the end of the path, you enter a trellis archway (pictured left). How verdant and magical is the archway! Almost like a wedding aisle. 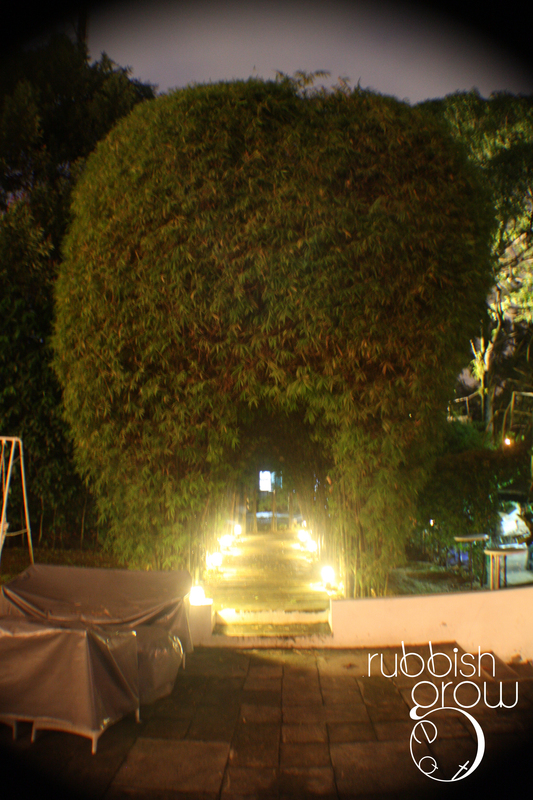 I can imagine a wedding being held here where the couple walk down the archway. 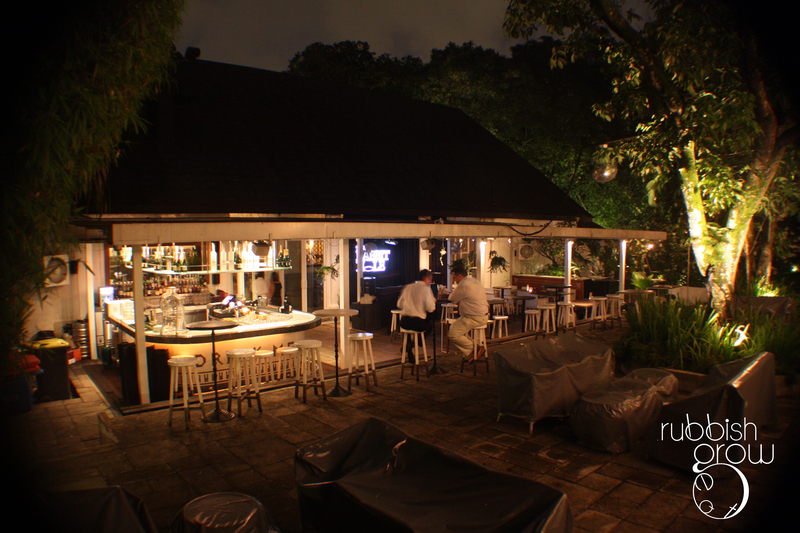 Then you see the al fresco bar amidst the lush foliage. A very relaxing ambience especially after a slight rain. The server suggested the berry cocktail with three types of berries: raspberry, blackberry and one more, I forgot. I was apprehensive because berry cocktails inadvertently taste like cough syrup but I was pleasantly surprised here. It was a delicate balance of berries and alcohol and the berries were nicely bouncing off each other so that the taste wasn’t sharp. It was just a nice mix of mild sweetness and mild sourness. DJs Tyler Made spins on Fridays and Mr. Has on Saturdays, 10pm to 2am on both days.